Following the September 2017 landmark conference examining the state of democracy in Southeast Asia, Suhakam – The Malaysian Human Rights Commission, and the Kofi Annan Foundation launch its new report “Democracy in Southeast Asia: Achievements, Challenges, Prospects“, capturing the key insights from the many deliberations that took place over the two days in the Malaysian capital. “The report examines the state of democracy and its challenges in the region and in Malaysia” says Kofi Annan, chair of the Kofi Annan Foundation. “It is intended to make substantive and constructive contribution to democracy, now and tomorrow, in our country and beyond”. leading to tensions in many countries. Despite a normative commitment to democracy enshrined in the ASEAN Charter, some countries have experienced democratic backsliding while others have undergone successful transitions from authoritarian to democratic dispensations. 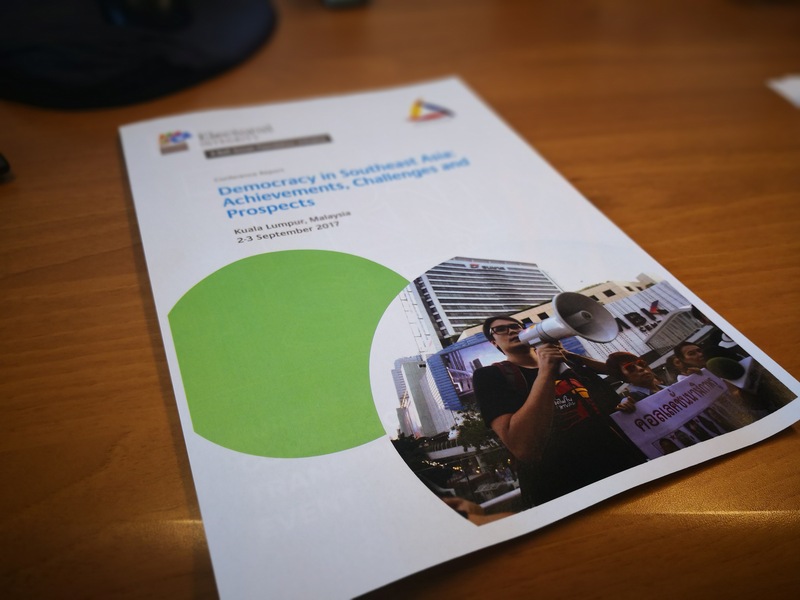 This report summarises the debates, conclusions and recommendations of the conference held in Kuala Lumpur in September 2017 to look at the achievements, challenges and prospects facing democracy in Southeast Asia. The conference marshalled a unique variety of speakers from across the region, from government, international organisations, civil society, and journalism. It has been published by the organisers to disseminate the conference’s ideas and discussions with a view to informing political debate in Southeast Asia. Please download your copy of the report here. All the latest news on Kofi Annan and the Foundation.